Scott has been employed in the real estate industry since April 2000 and has a broad base of real estate experience previously working as a salesperson, property manager and residential and commercial valuer. 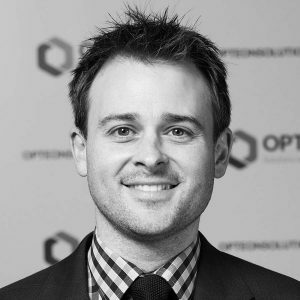 Scott has been employed by Opteon since 2009 and from mid 2012 worked in various senior management roles, most recently as Acting COO of the Victorian business. In his current role of State Director he oversees the operational delivery of valuations throughout Victoria and Tasmania with a determination for operational excellence, focus on continuous improvement, innovation and promoting staff culture. He has almost concluded his MBA at Deakin University with the ambition for completion in 2017.